Although in my miniature landscape it is just a "lone wolf", I consider the wolf a very friendly and social creature. One of the first historical stories heard in my childhood about Romans, one of my forefathers, was the legend of the she-wolf, the founder of Rome, who found, suckled and raised two twins brothers named Romulus and Remus . The Dacians and Thracians (my other ancestors) were known as fearless fighters under the Wolf-Dragon flag (named also "dracones"). 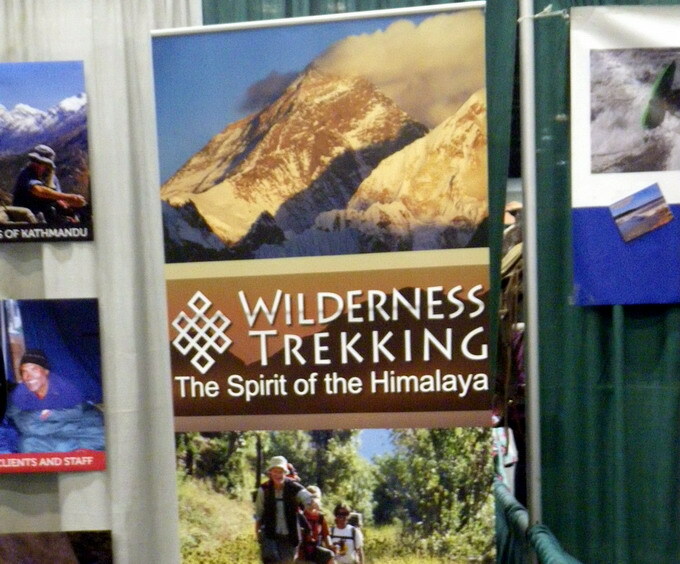 The Wolf-Dragon banner, having a Wolf head ending through a Dragon tail, was symbol of the brotherhood and bravery of the warriors and also a symbol of the immortality and protection against evil forces. In Native American tradition, the Wolf is the keeper of knowledge and wisdom, and the teacher who tells people to learn to value their inner knowledge and spirituality.The totem wolf appears frequently in North American amulets and totem poles as a representative of friendliness, deep faith, loyalty, generosity and profound understanding - I know this because we are located in Vancouver and in British Columbia the wolf is a frequent native American Indian symbol presents in carvings, artisan crafts or dream-catchers. 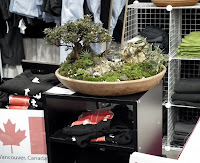 The wolf is also among with many ancient cultures: among the ancestry of Genghis Khan or with the Odin's victory from the Norse mythology. 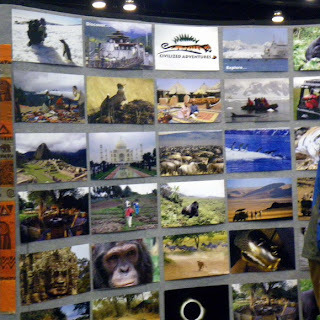 In Egypt the wolf-headed god Anubis was the guardian of the dead and the protector of the souls that entered the underworld. In Celtic tradition, the wolf teaches people to feel strength and power when acting in groups, and represents a symbol of loyalty, intuition, transformation and protection. 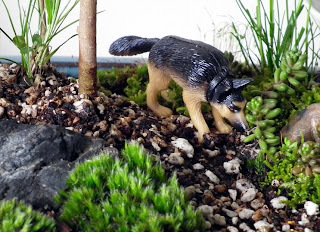 This wolf is the source of power and good luck for those around him and pathfinder to find new creative ideas ;-) Anybody want to be protected and to dream in a magical world... Do you like such a guardian? 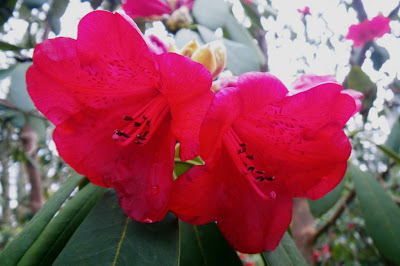 We went at the beginning of this month, as usual, to the monthly meeting of the Canadian Geranium & Pelargonium Society, held at VanDusen Botanical Garden, Vancouver. 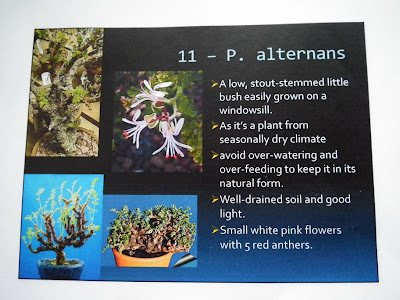 This month the "2011 Pelargonium Seeds Exchange Project" was started, and we discussed various methods to grow pelargoniums from seeds and their degrees of success. For this project we donated seeds gathered last Autumn from our Pelargonium Grossularioides / Coconut scented plants . 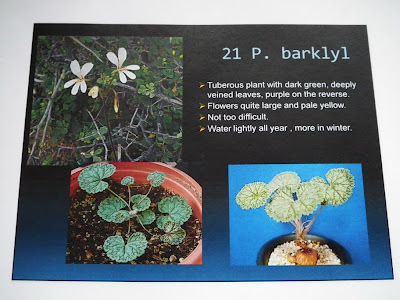 The 2011's challenge of this project to the club members will be to grow some special pelargoniums from seeds received from the Geraniaceae Group in UK. 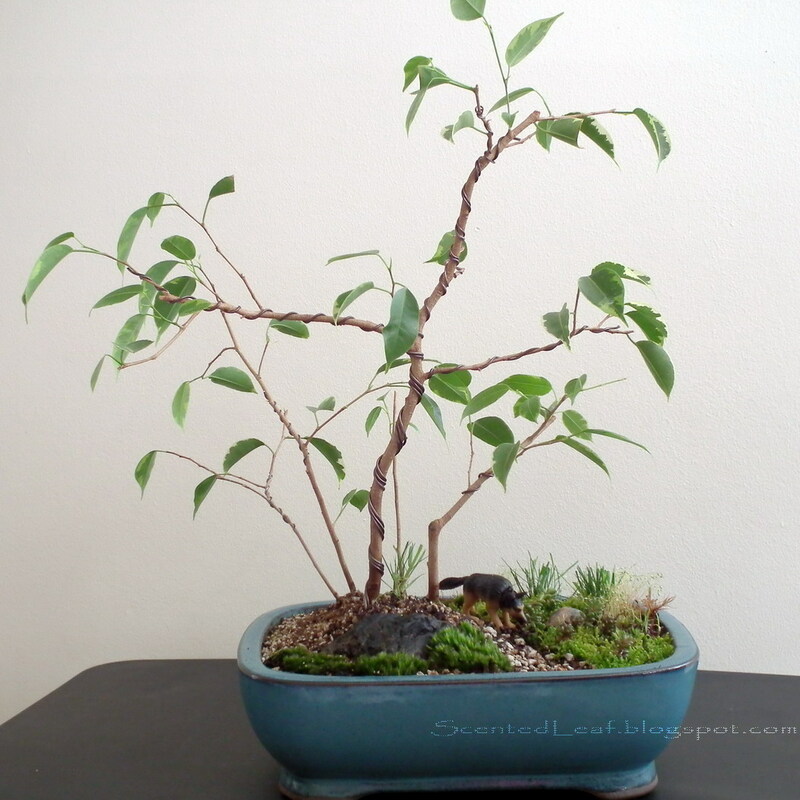 The Project phases include planting them using sprouting method (eventually scarifying them), note their evolutions and share the results. 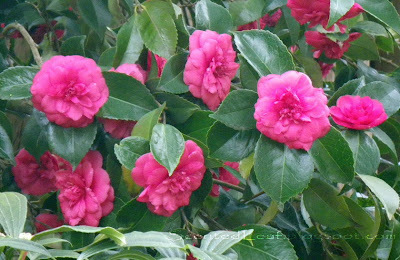 The seeds should be planted in a well-drained soil and in good light, avoid over-watering and over-feeding and maintaining best conditions for growing. We received one seed of Pelargonium Alternans: a perfect candidate to become a bonsai because it is a low, stout-stemmed little bush. 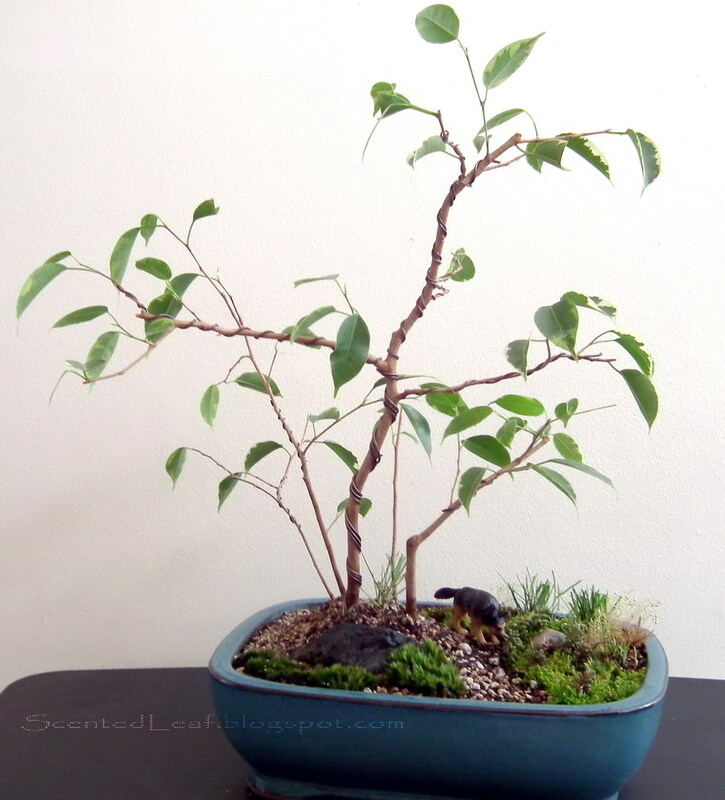 (it perhaps was given to us after the "Pelargoniums Bonsai" presentation we did in February meeting). 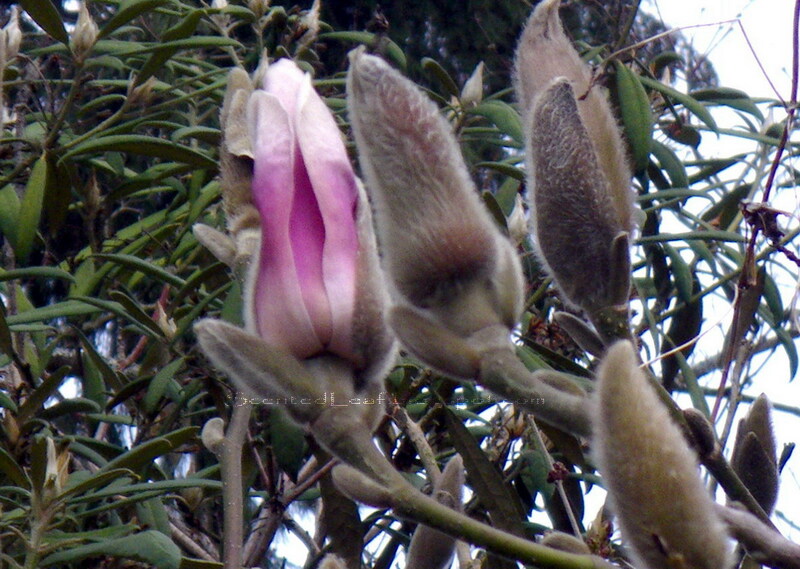 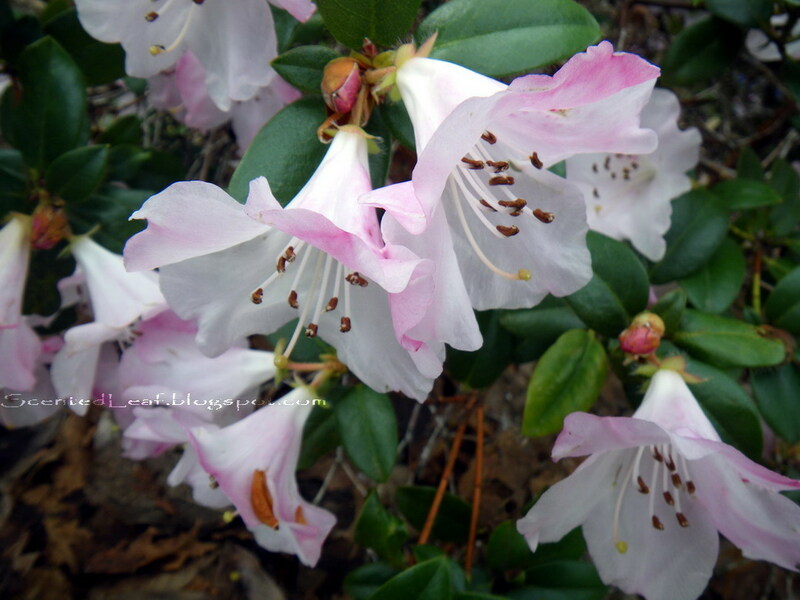 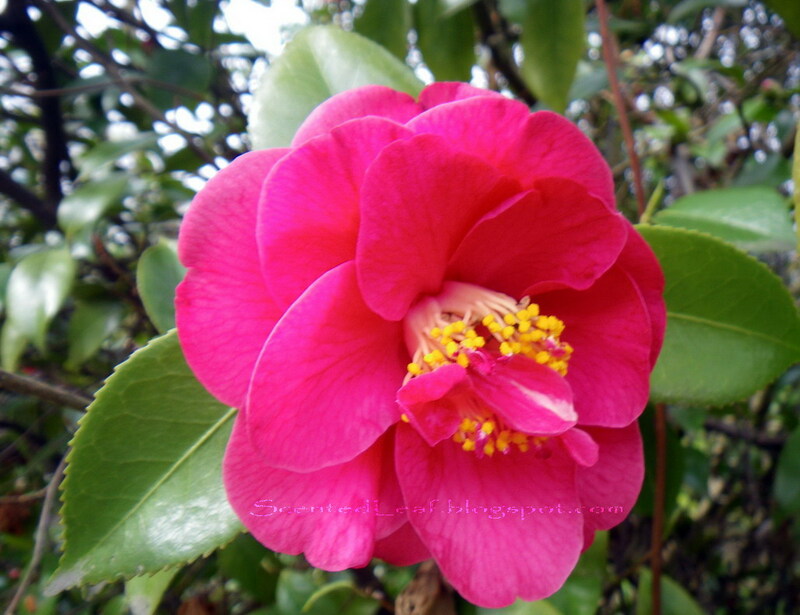 It is a plant from seasonally dry climate which will make white-pink flowers with 5 red anthers. 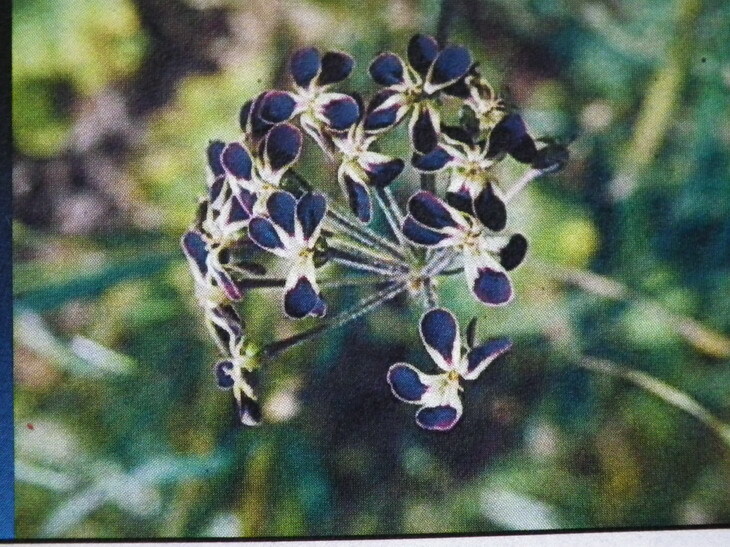 - one seed of Pelargonium Lobatum - a variety of pelargonium with tall flowering stems (70 cm high?) 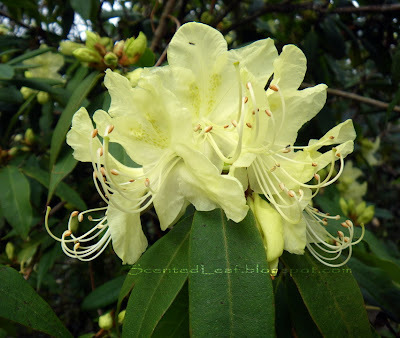 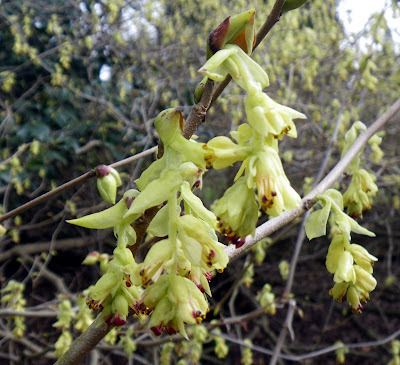 and almost black flowers, fragrant in night ;-) with petals edged with yellowish green. - one seed of Pelargonium Barklyi - a tuberous plant with dark green, deeply veined leaves, purple on the reverse which will bloom with quite large, pale yellow flowers. - one seed of Pelargonium Bowkeri - a summer-growing pelargonium with strange fringed flowers which should be keep dry over winter in its dormancy period. 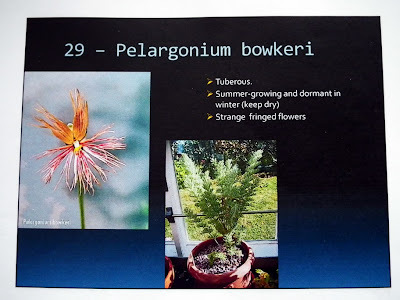 - pelargonium Echinatum "Miss Stapleton" , known also as "Sweetheart Geranium" - winter-growing with flowers white-pink with a deep red spot - often heart shaped. - pelargonium Endlichenarium - originated to Turkey, summer-growing with bright pink two-petalled flowers. 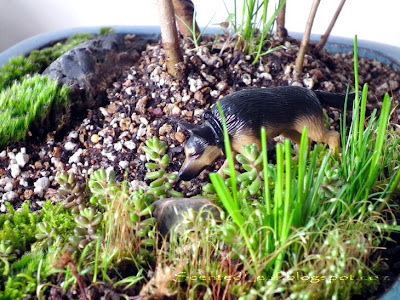 It can be grown outside in Vancouver's climate and some old plants (it is an evergreen plant) can be seen in the "Alpine Garden" at UBC Botanical Garden and Centre for Plant Research. - pelargonium Tongaense - looming more like an ivy-leaf but related to zonals with red flowers all the summer. 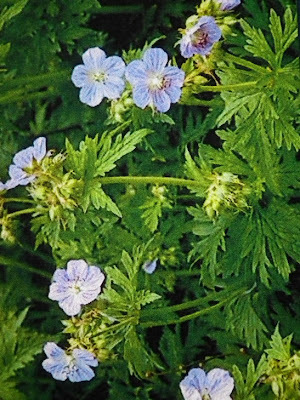 Another special plant, having the necessities to germinate in cold, the hardy Geranium Pratense "Mrs. Kendall Clarke" will bloom with pale blue with lighter marbling flowers. I hope the seeds will germinate well and in the next month or so, we will see how these plants develop, and I will be able to share some pictures with you. 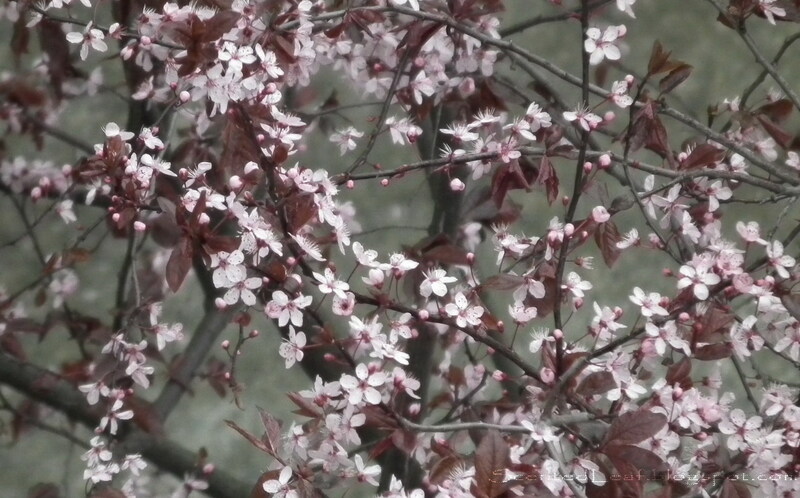 Usually, I try not to make promises I can't keep. 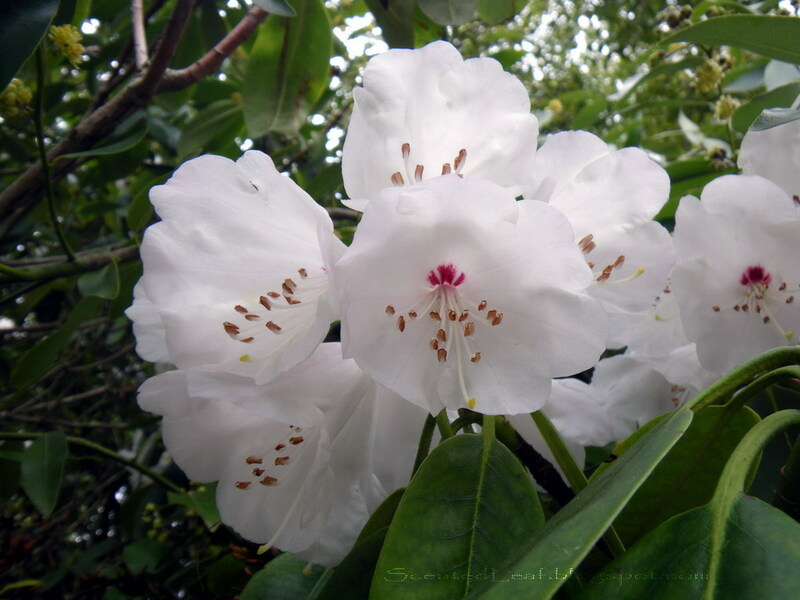 One of my favourite proverbs is " Just keeping your word is not enough, make sure you don't delay your promise". 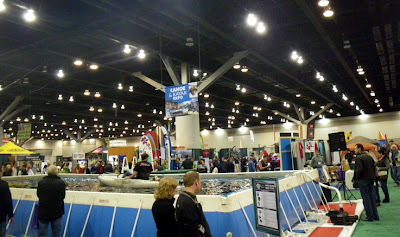 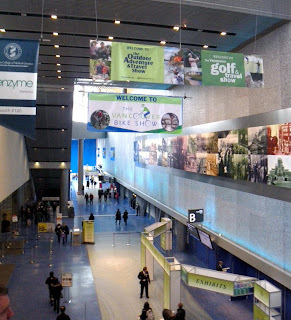 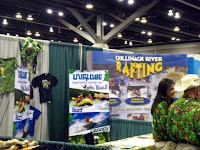 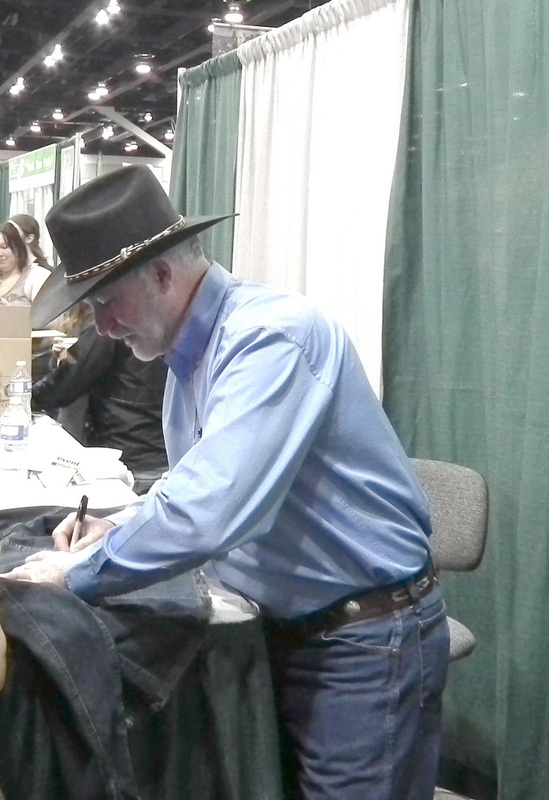 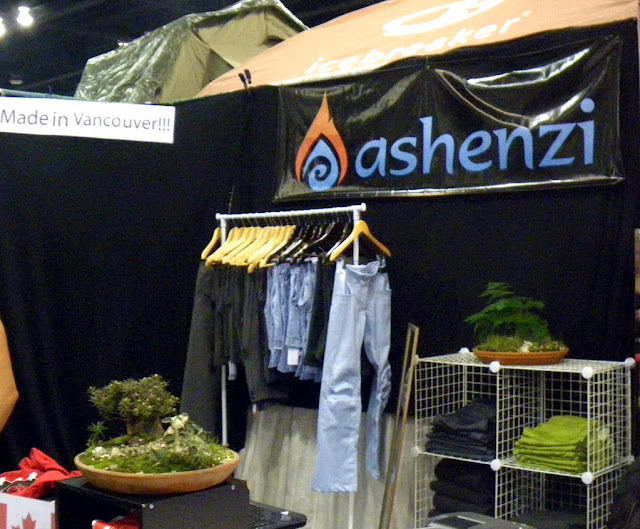 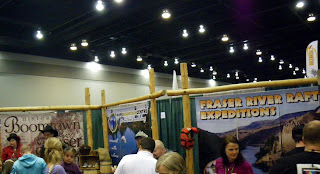 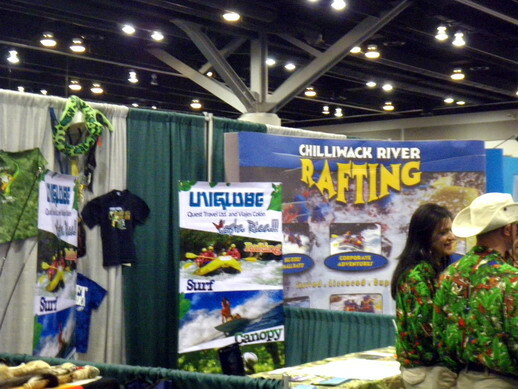 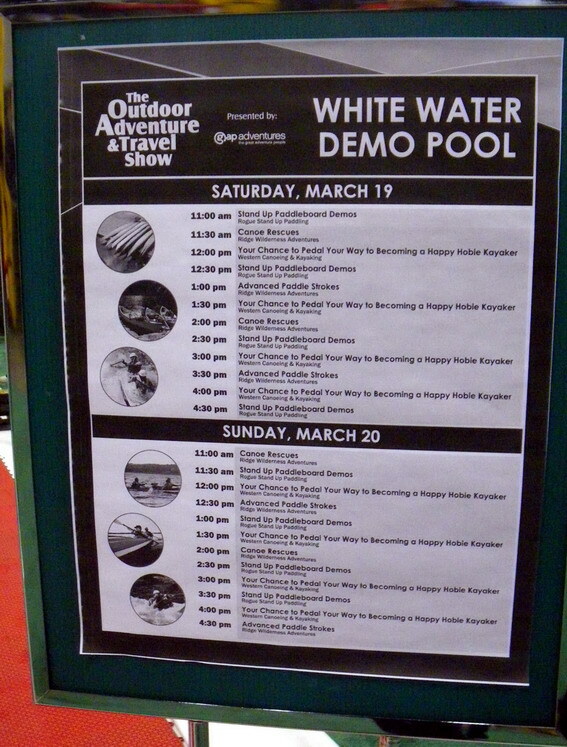 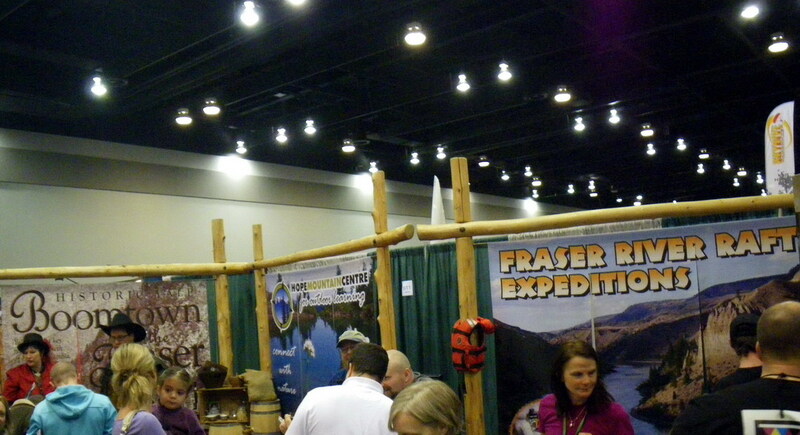 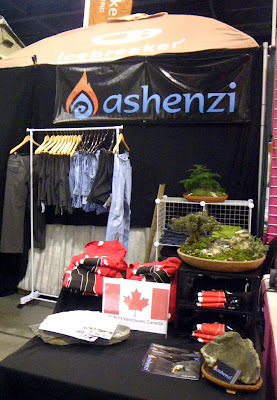 So, as I promised in my previous article Vancouver Outdoor Adventure and Travel Show , I come back to you with details. 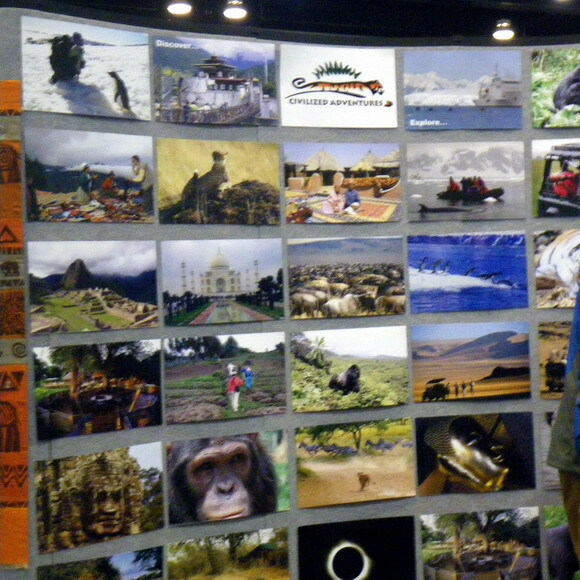 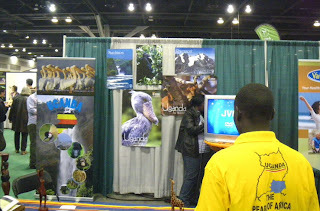 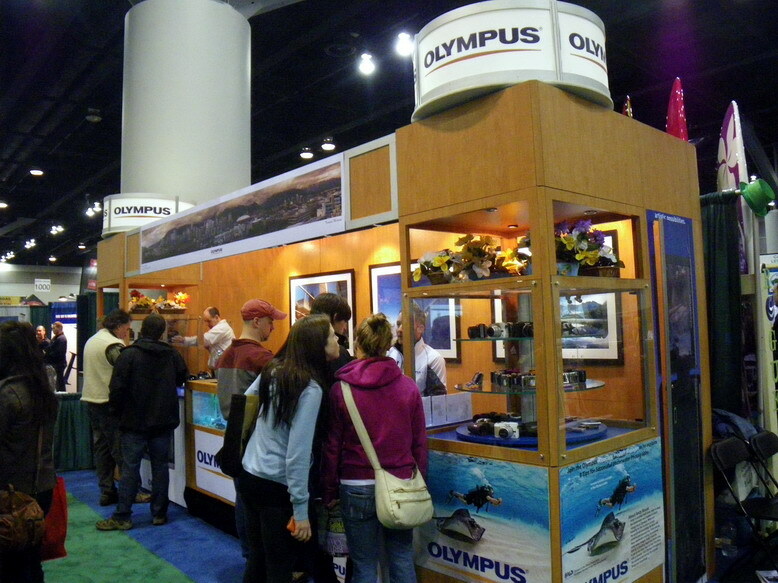 Saturday was a pleasant day in which we have reached almost all of our targets to "The Outdoor Adventure & Travel Show". 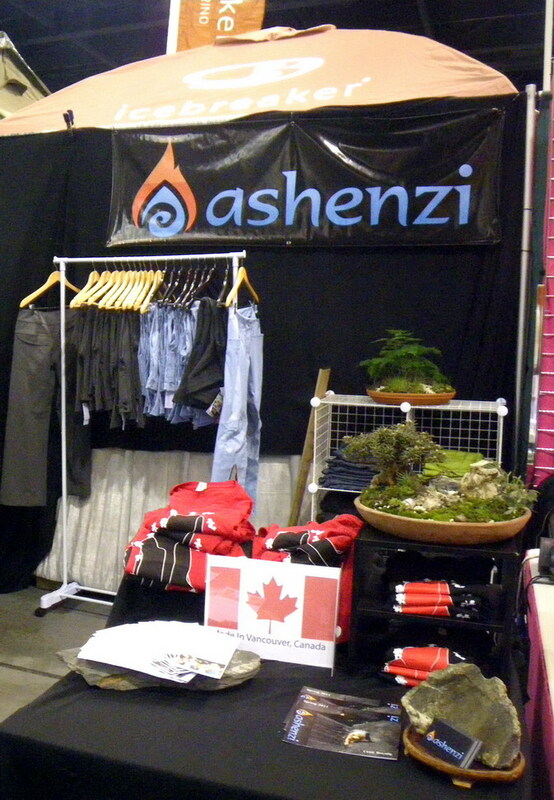 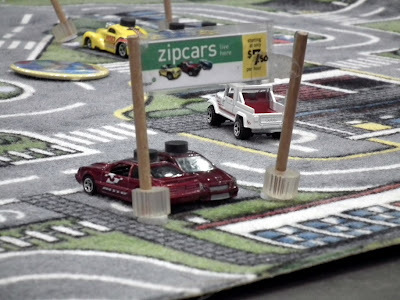 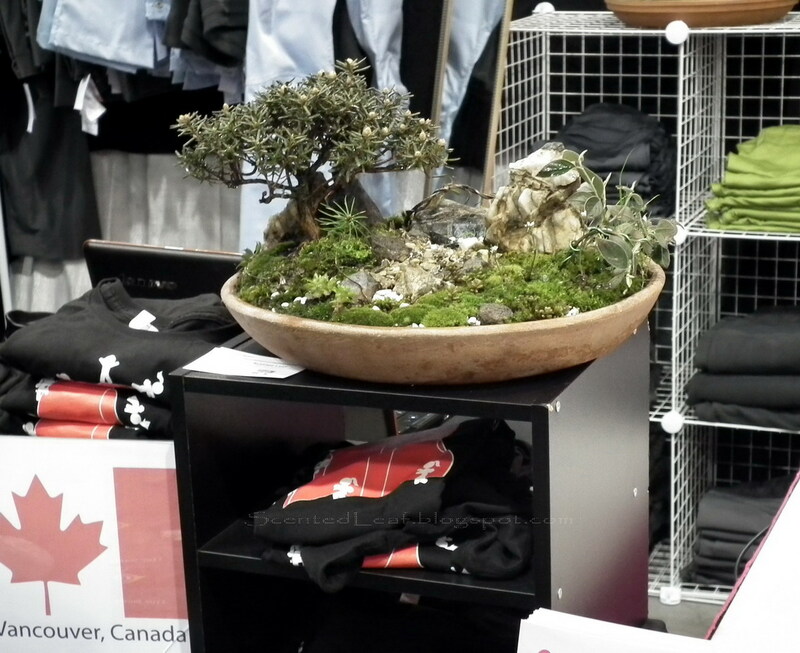 First of all, I want to tell you that the Ashenzi booth was decorated with both miniature landscapes we made for them. They enjoyed the arrangements so much and decided to rent both for the show. On arrival, we were wandering the intense and crowded alley of the show, and we located where the Terry Grant's appearance to the show will be. I got his autograph and I took some pictures with him! 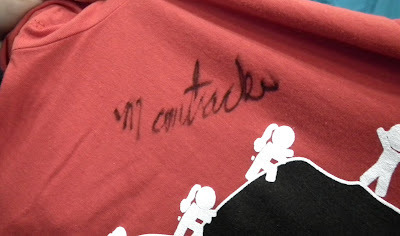 Don't envy me, you don't know how much I was waiting to get it!!! 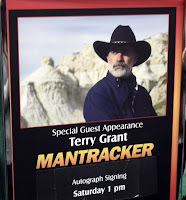 It was an achievement, because we promised to the kids that we will see Terry Grant's reactions in a "real show" and we will obtain his autograph. 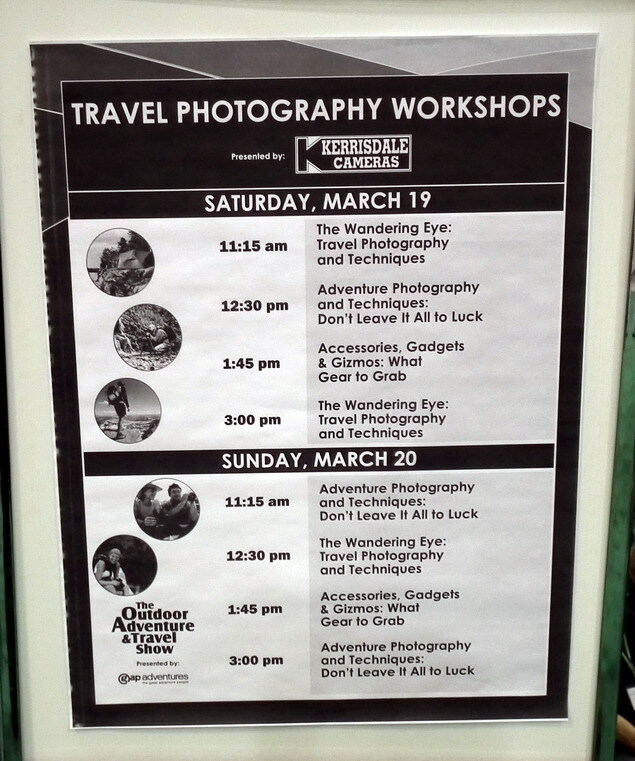 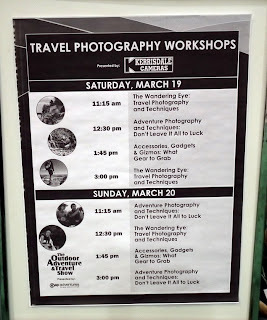 We participated, also, to one Travel Photography Workshop presented by Kerrisdale Cameras starting with 1:45pm: and we have listened many tips " Accessories, Gadgets & Gizmos: What gear to Grab". 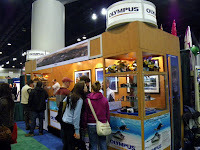 Later we have admired the Olympus photo cameras. 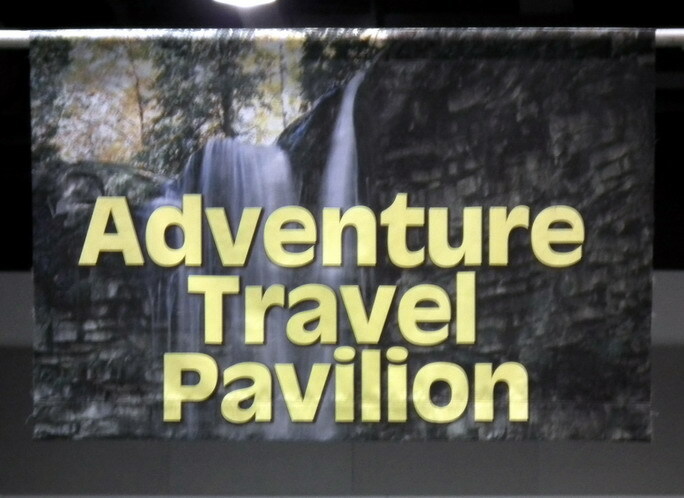 Walking through the "Adventure and Travel Pavilion", we noticed the touristic offers from all over the world. 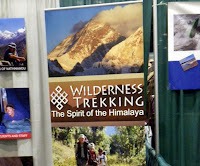 Visiting the stands, we were joining the adventure of fishing to West Coast, trekking in Himalaya 's wilderness, cruising and diving on Vancouver Island. 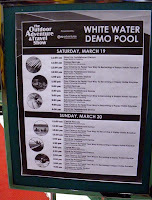 In the last pavilion visited by us, "Canoe and Cayak Expo" we were very impressed by the real demonstrations on the White Water Demo Pool. Don't you think that is amazing to see such a pool assembled indoor?